In this generation, the society and economy have been progressed by leaps and bounds. At the same time, many negative factors come into being. The fast development of society makes people always too busy in their business to accompany the family. The high-quality material life paves the way for many people to choose cars as their daily transport, which causes serious traffic jam and polluted living environment. As a result, a lot of people start to complain the life. However, the bad situation is finally changed since the Fosjoas intelligent self-balancing electric scooters emerged. It is those electric scooters to tell people what happy life is. If people are willing to choose a Fosjoas electric scooter, like K3 sitting-posture scooter, V6 one-wheel electric scooter and V2 twin-wheeled scooter, as commute transport, they don't need to fight with traffic jam in rush hours. Fosjoas electric scooter will take them and pass through crowded cars or passersby quickly. Don't look down upon the time saved on road. Generally speaking, a person who lives and works in big city can save at least two hours on workdays if he replaces his car with one of Fosjoas electric scooters. What two hours can do for people? They can use it to accompany parents, kids or lovers, to take exercise or to learn a new knowledge. All of Fosjoas electric scooters are powered by imported lithium-ion battery. On the one hand, the battery capacity is ranging from 81.4Wh to 680Wh. Therefore, they can cover both long-distance and short-distance travels for people. 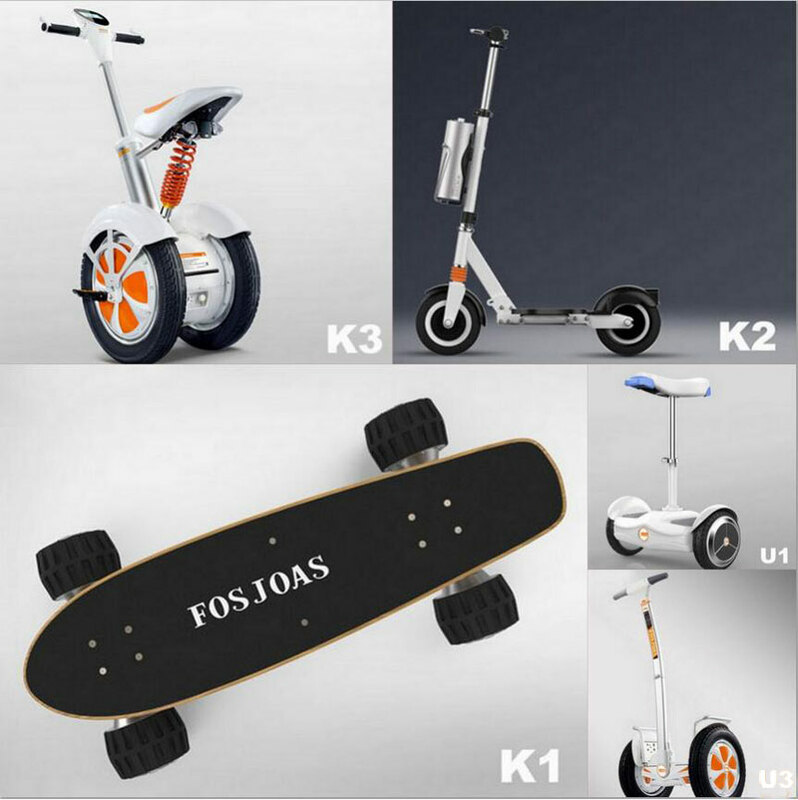 Among them, the battery unit of Fosjoas K2 and K5 two wheel electric scooter unicycle is replaceable. In other words, the range will be unlimited provided that people take enough spare batteries. On the other hand, lithium-ion battery won't discharge any harmful exhaust into the air, which will increase the environmental quality. Gradually, the happiness index will be obviously promoted.